Inking on the Edge: Reverse Confetti...SFYTT # 22 & CTD # 334...What's The Buzz? Reverse Confetti...SFYTT # 22 & CTD # 334...What's The Buzz? What's the Buzz, 'Fetti Fans?! I took holidays this week for March break and I've enjoyed some downtime, meeting girlfriends for lunch and getting some extra stamping time in too! I was inspired by this fun colour combo that they have over at the Colour Throwdown # 334 this week and made this card with the fun NEW Reverse Confetti The Buzz Stamp set. I've also followed this month's Reverse Confetti SFYTT # 22!!! Here is the fabulous sketch that we have this month...lots of layers, LOVE it!!! 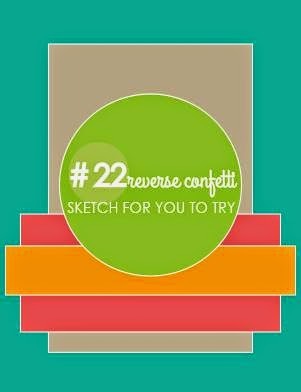 You have until March 29th at Noon CST to join the SFYTT # 22 challenge for you chance to win $20 Gift Certificate to the Reverse Confetti Shop! 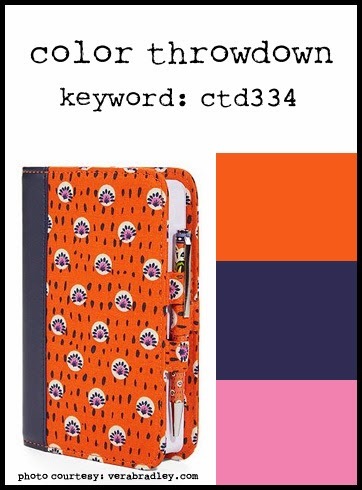 Here is the FUN colour combo that I used for this card! I made my card with MME Now and Then 6X6 patterned papers and paired it with the super cute NEW The Buzz Stamp set and The Buzz Confetti Cuts. I used the New Reverse Confetti Wonky Double Edge Scallop Border Confetti Cuts, the Circles 'n Scallops Confetti Cuts and the Tag Me Confetti Cuts. Here's a detail shot...I stamped the small bee on the Primitive White card stock with Grout Grey Premium Dye Ink and cut it out with the small tag from the RC Tag Me Confetti Cuts. I then stamped a sentiment from The Buzz Stamp set in Night Shift Blue Premium Dye Ink. I also stamped a few bees from The Buzz Stamp set in Grout Grey, cut them out with The Buzz Confetti Cuts popped them up on my my card and added a little shimmer to the wings with a clear glitter Wink of Stella Brush. To finish it off, I embellished with some sparkly pink Gumdrops and some orange AC Cord. 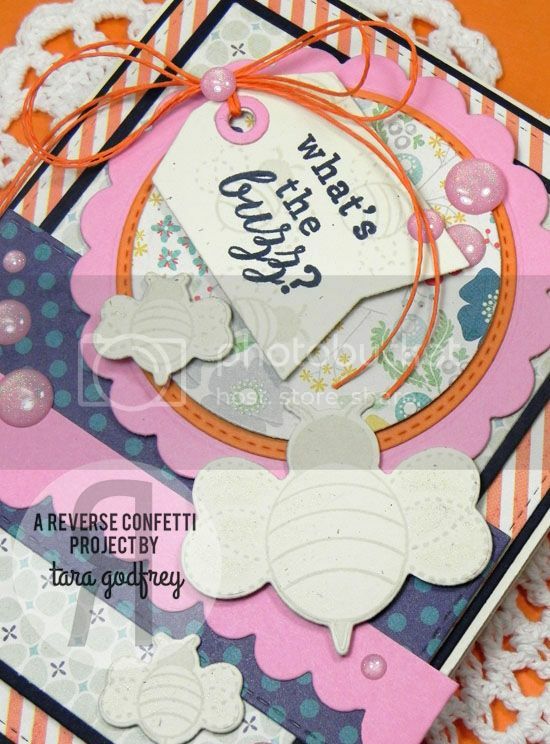 Thanks SO much for buzzing by and havin' a wee peek at my card with the NEW Reverse Confetti The Buzz Stamp set and The Buzz Confetti Cuts for the Reverse Confetti SFYTT # 22 and the Colour Throwdown # 334! This is too cute, Tara! LOVE your layout and layers! You totally rocked the colors! Thanks for joining us for the Color Throwdown. Great card! Love your take on the sketch!